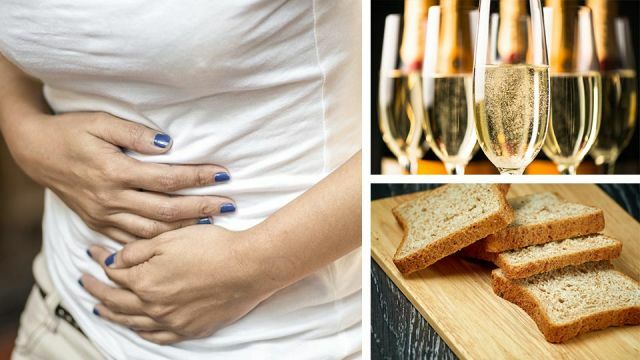 A lot of people with bloating or other digestive problems feel like they are alone, but it may surprise you that 75 percent of Americans live with some sort of gastrointestinal discomfort. Research has found that almost 20 percent of people experience bloating specifically, with half of those showing visible stomach distention. Most people feel a full and tight abdomen and abdominal pain. IBS occurs when nerves linked to your bowel are too active. It is a functional bowel disorder that includes symptoms like abdominal discomfort, cramps, diarrhea or constipation and bloating. Rather than a disease that can be contracted, IBS is often a result of a long-term low-quality diet. Stress and not drinking enough water are the main causes of constipation, which in turn can cause bloating. Eating too little fiber or being too sedentary are also big reasons for constipation. When the stools remain in your intestines, that can cause a “hard-feeling” stomach, pain, gas and general discomfort. Overeating alone can make you feel bloated, but consuming excessive sodium intake or carbs can make your body retain water, which also contributes to bloating. Simple carbs like white bread, candy, soft drinks and pastries are quick to digest and enter your blood quickly, meaning they are more likely to cause water retention than complex carbs like whole grains and vegetables. Especially for people who are lactose intolerant, dairy products are a quick path to a bloated stomach. And for everyone, fat is a tough thing to break down, so large amounts of it are a sure path to bloating as well. There are a few really nutritional foods that also cause gas, like broccoli, cabbage, beans, and sprouts. The key to remember is that a bit of gas is natural — it’s the excessive accumulation that can be painful. You can also eat too fast. The faster you eat, the more air you swallow, and that air in your intestines can contributing to bloating. But eating fast also makes it harder for your organs to properly digest your food, and your stomach needs about 20 minutes to tell you that you’re full. That means it is easier to overeat when you eat very fast. Finally, weight gained around the stomach can contribute to a feeling of bloating, as the space it takes up leaves less room for the stomach to stretch. Drinking sodas, beer or champagne, which is filled with gas, will obviously fill you with gas. Sometimes you’ll just burp the gas away, but once it reaches your intestines, the gas stays there until it’s passed. If a lot of gas accumulates (a little bit is normal), it can get quite uncomfortable. Other medical conditions that can cause bloating include Crohn’s disease, coeliac disease, gastritis, colon cancer and PMS. Bowel obstruction, caused by scar tissue or a tumor, causes the bowels to become blocked up with fluid or stool, which feels much like bloating, but technically isn’t. Exercise is great for countering constipation, and for most of the above causes, consuming a good amount of water is a very easy and effective countermeasure. Probiotics or “good bacteria” can help kill off bad bacteria that trigger digestive issues. You can take supplements, or eat food like kimchi, yogurt or kombucha. Water-rich fruits and veggies provide important electrolytes and enzymes that relieve bloating naturally. Some good ones are leafy greens, cucumber, celery, fennel, steamed or fermented vegetables, and berries. There are also some great herbs that you can drink in teas or add to your cooking that are incredible for countering bloating. These include rosemary, valerian root (which is especially good for irritable bowel syndrome), turmeric, cumin, ginger, peppermint, mint, anise, garlic and caraway. Medical marijuana has also found to be beneficial to IBS sufferers. Hey Buddy!, I found this information for you: "Top 4 Reasons You’re Bloated All The Time And What To Do". Here is the website link: https://www.thealternativedaily.com/top-4-reasons-you-are-bloated-all-the-time-and-what-to-do/. Thank you.